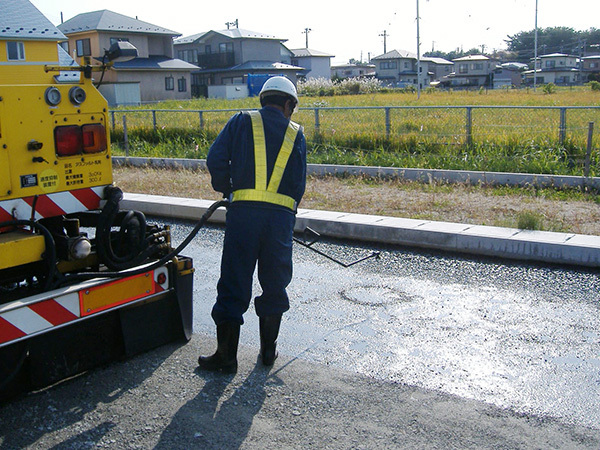 CATIOZOL are Japan’s first cationic asphalt emulsions for penetration, which were developed by Nichireki. 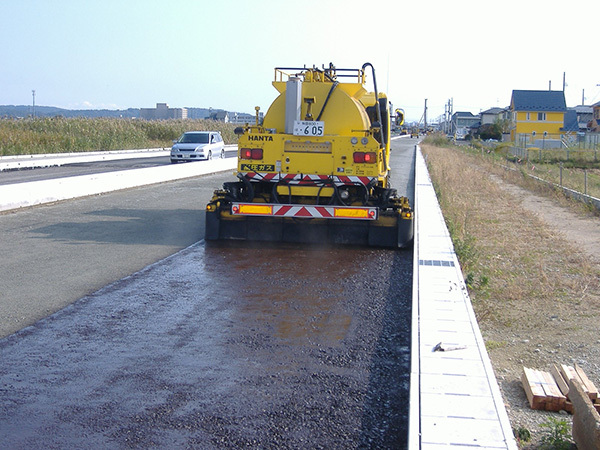 These emulsions conform to Japan Industrial Standards JIS K 2208 and the Pavement Design and Construction Guidelines PK 1-4. Use is possible at normal temperatures throughout the year, and the material is energy-conserving and non-polluting. Adheres firmly to aggregates, even when they contain moisture. Breaking is swift, so that the road can be opened to traffic soon after implementation. In wintertime or at night, breaking can be made faster by heating during implementation. There is no danger of the material catching fire.